At the beginning of the semester, Swarthmore’s Dining Services significantly decreased the hours of Essie Mae’s Snack Bar as a part of a larger plan to shift late-night staff from Essie’s to the dining hall and Science Center coffee bar. The decision quickly sparked outrage on social media; an online student petition received over 450 signatures, prompting Dining Services to extend weeknight hours by an hour and a half. The Dining Services Advisory Committee, a group of students and administrators representing student interests, had pushed for extended hours at the coffee bar but wasn’t aware that the Dining Services team would reduce Essie’s hours to accomplish that goal. Dining services did not communicate the changes to students until Friday, Aug. 31, three days before the start of classes. At the end of this past summer, Dining Services revealed that Essie’s would close at 9 p.m. on weekdays, instead of 12 a.m., close completely on the weekends and that students would be given less flexibility in terms of the options available for a single meal swipe. They also announced that Swarthmore’s student-run cafe, formerly known as Paces, would be relocated to Sharples, renamed The Crumb Cafe, and would now accept meal swipes. 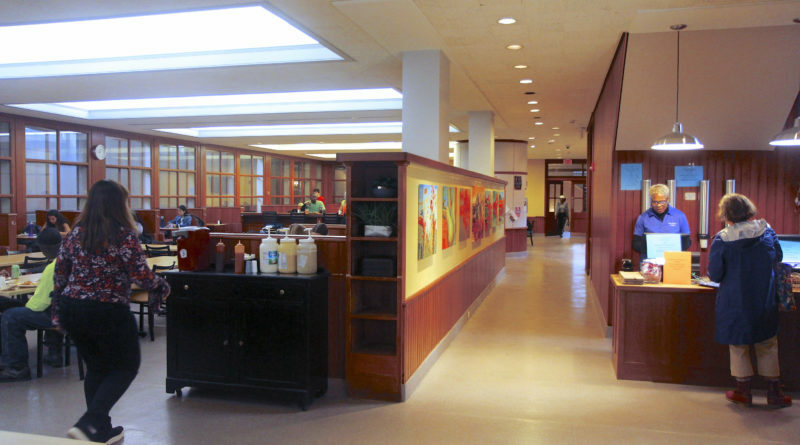 Students have a certain amount of meal swipes which they can use in the dining hall, and points which they can spend at the coffee bars or at Essie’s. In previous years, students had the option of using a meal swipe for a “late night snack” at Essie’s, which allowed them to purchase seven dollars’ worth of food items after dinner closed. Alex Jin ’19 was one of the first students to find out about the change when it was announced during his Residential Assistant training. Jin immediately created a student petition over social media to oppose the change. “Some of my fellow RAs were saying things like ‘someone should start a petition’ and I said to myself, ‘yes, someone should, so I’m gonna do that,’” said Jin. The petition ended up receiving over 450 student signatures, and administrators extended Essie’s hours from 9 p.m. to 10:30 p.m. due to the overwhelming student support. However, students still lack flexibility in what they are allowed to purchase for a single meal swipe. Jin cited a variety of concerns arising from the curtailing of Essie’s hours, including that student-athletes and members of other student organizations that meet during normal dinner hours would be unable to find meals on campus. Because of the way teams must share field space and the nature of their practice schedules, some athletes have to eat both before and after practice, their post-practice meal happening after Sharples closes, said Jin. Kevin Hudson ’21, a member of the cross country team, confirmed there were certain times when his workout extended past Sharples operating hours and he relied on Essie’s for his evening meal. Jin was also concerned about how students with dietary restrictions would cope with the change in what could be purchased for a single meal swipe. He also mentioned that first-years, who must choose between the two meal-plans containing the most meal-swipes, would have less flexibility when using their meal-swipes at night. Assistant Vice President of Auxiliary Services Anthony Coschignano attributed the change of Essie’s hours to a need for extended weekend hours at Science Center coffee bar as well as the expanded operation of the Crumb Cafe to seven nights a week. Natasha Lodhi ’19, who served on the Dining Services Advisory Committee since its inception last semester, confirmed this reasoning, saying that cost-consciousness and staffing shortages played a role in the changes. She also said the committee had pushed for extended science center coffee bar hours, and the Dining Services team had good intentions in trying to act on student feedback. Dining Services created the Student Dining Advisory Committee midway through last semester as a way to incorporate the perspectives of an expanding student body. The committee was involved in the decision to rename the student-run cafe and move it to Sharples and to extend the Science Center Coffee bar hours. Lodhi also made clear that the Student Dining Advisory Committee played no role in the decision to close Essie’s early. In fact, the committee wasn’t made aware that Dining Services would need to reduce hours at Essie’s to accommodate the change. “When we discussed as a committee that we want to extend our Sci coffee bar hours, we didn’t say that in exchange we should slash Essie’s hours,” said Lodhi. She cited cost-effectiveness as the main reason administrators sought to reduce Essie’s hours. According to Alex Jin, who along with Guin Mesh ’19, met with members of Dining Services and Interim Dean of Students Dean Terhune, Dining Services is operating at a higher cost than during the 2017-2018 school year because of the changes. 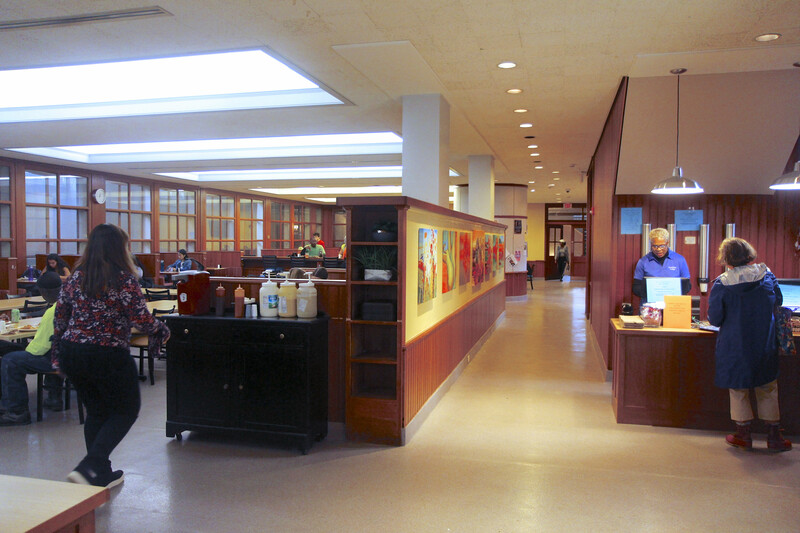 According to Jin, the Dining Services implemented the reduction of hours at Essie’s and the expansion of the Crumb Cafe as part of a master plan to move late night meals to a new dining center, for which an architect and consultants will be hired this fall, according to an email from Coschignano. The Dining Services Advisory Committee also pushed to relocate The Crumb to Sharples. Members of the committee felt that Sharples was underutilized and decided to shift The Crumb into that space would help solve the problem, said Lodhi. Students expressed mixed feelings about the changes. Ollie Tenenbaum ’21 said he was most affected by the lack of flexibility when using late-night meal swipes at Essie’s. “I just go for snacks, nothing else. Why are they making it more complicated?” Tenenbaum said. Other students communicated a neutral view of the changes. Ben Stern ’20, who lives off campus, said that while most of the changes didn’t affect him, the extended Sci coffee bar hours came in handy when studying late at night. Whether or not students support the changes, Coschignano confirmed that Essie’s current hours would remain. He did mention, however, that Dining Services would be responsive to feedback from the Dining Services Advisory Committee. Featured image by Andrew Zhu.